Did you know that Vincent van Gogh painted over 900 paintings in his lifetime? And can you name the artist of Britain's greatest painting? 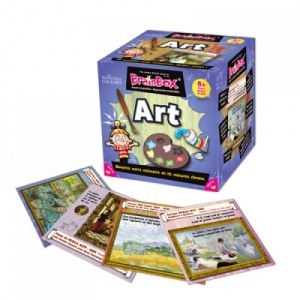 Developed in conjunction with London's National Gallery, BrainBox Art is full of interesting facts and amazing images of some of the best paintings in the world in stunning high quality on 56 beautifully-illustrated cards. 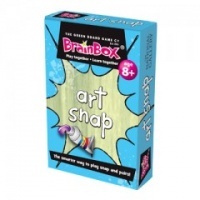 This simple concept can be played by all ages and in large groups as well as a 1 person game.